Fancy The All-New Smart Heating Clothing Trend? Winters can be quite unbearable if you don't have warm enough clothing. And the universal fact is that no piece of ordinary clothing can make you feel truly snug all the time. What if you could opt for non-ordinary clothing? Now you've got that choice with these heated jackets. 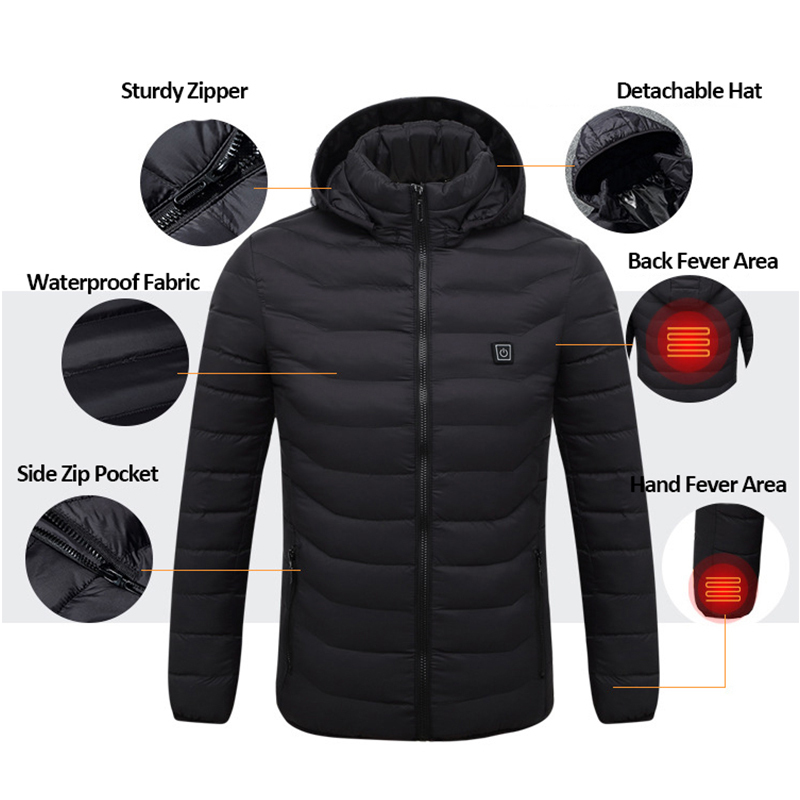 These electric jackets have integrated heaters inside it that maintain comfortable temperatures at 3 of the most sensitive parts of your body. The smart heating system offers 3 operational modes so you can adjust it according to your needs, and always feel the way you want to! This heated coat has a waterproof lining, a detachable hood, cool zipper pockets, and a macho look, making it the best heated jacket you can get your hands on.